3. First, authorize your own computer's IP by click [Add Below] and [Submit Update]. 4. 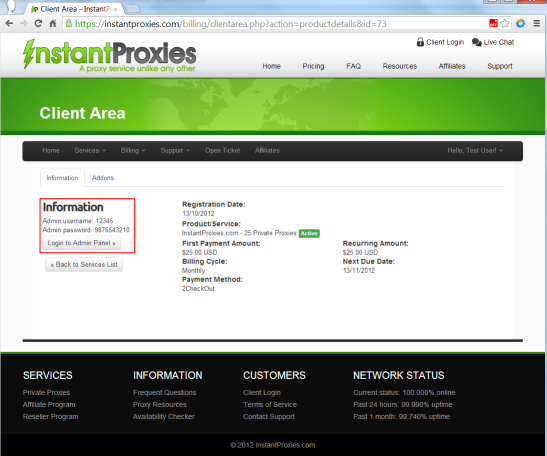 Click [Test Proxies] to make sure your proxies are online.